Understanding a little bit about the different choices you’ll need to make will help assure that you’re completely satisfied when your shingling project is completed. Only two kinds of wood have the natural ability to withstand weather and resist pests: redwood and cedar. Of the two, only cedar grows quickly enough to be sustainable. 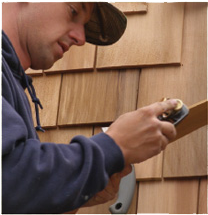 Historically, cedar was the rst choice for shingled homes, and it continues to be. There are two principal varieties of cedar trees: White cedar, which is often used on the East Coast, has an open grain pattern and fades to a silvery gray. Western Red cedar has a tight grain pattern, a warm russet color and is one of the world’s most durable woods. 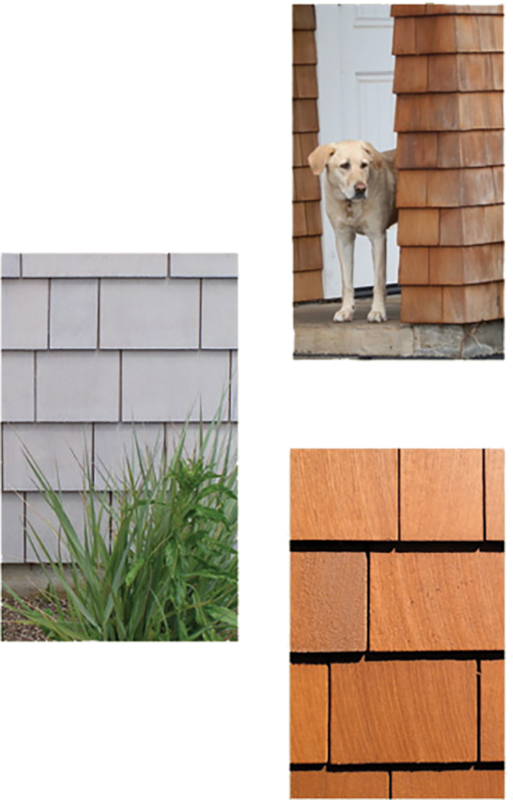 Cedar shingles, made from the dark heartwood of the tree, are an excellent choice for home siding. In addition to their durability and ability to withstand harsh weather, their distinct woodsy scent acts as a natural pest repellant. Western Red Cedar and White Cedar. Western Red has a tight grain pattern, a warm russet color and, while it is more expensive, is also the more durable of the two. White Cedar has open grain pattern, and fades to a silvery gray. 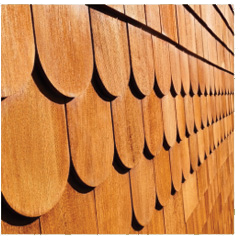 Shingles are graded based on the clarity of the cut. The clearer the wood, and tighter the grain, the less porous the shingle. Therefore, those without at grain or knots are the highest quality. 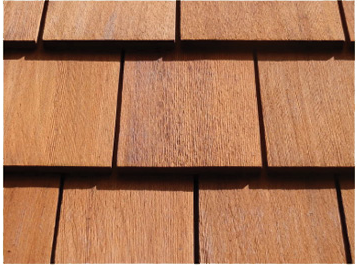 The three grades for shingles are:Premium: (100% Edge Grain, 100% heartwood, 100% clear). They are cut from the very best wood. These are the nest shingles available. Number 1. (Clear heartwood, maximum 20% Flat grain.) They are cut from somewhat less quality wood. Number 2. They are cut from lower quality wood or are from rejects of number 1 wood. They will have a larger percentage of at grain and will have some defects. Shingles which have been treated with ame retardant are safe and legal to use for sidewall application. Ask us, or contact your county’s building department to nd out the particular requirements for your area. Shingles which have been treated with ame retardant are safe and legal to use for sidewall application. Ask us, or contact your county’s building department to nd out the particular requirements for your area. Western Red Cedar has tannic acid which bleeds out from the heartwood. These “tea stains” are a natural part of the aging process, and are responsible for giving Western Red Cedar its distinctive appearance. Depending on the type of stain used, more or less of the wood’s natural color will come through. Transparent stains are virtually clear and will enhance the natural color variances in cedar. Semi-transparent stains permit the natural wood grain and texture of cedar to show, while the color pigment provides protection against ultra violet rays. Semi-solid and solid stains are used when an opaque, colored appearance is desired. They provide more protection against the weather and require less maintenance. 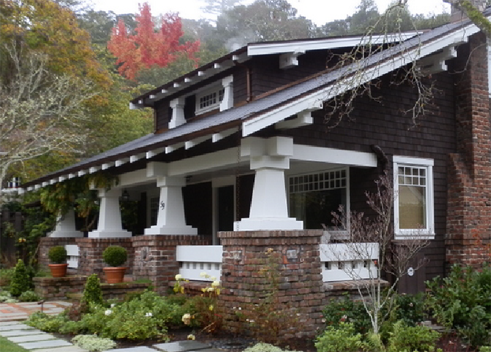 Stains can be custom-tinted to match existing shingle work.